In late summer 2017, Sea Shepherd's fast patrol ship, the M/V Ocean Warrior, arrived in East Timor (Timor Leste, Southeast Asia) to investigate reports of an industrial fishing fleet of fifteen vessels targeting large quantities of sharks. After just two weeks on site, the crew were able to find, observe and document the fleet's activities, gathering evidence to present to the East Timor National Police. 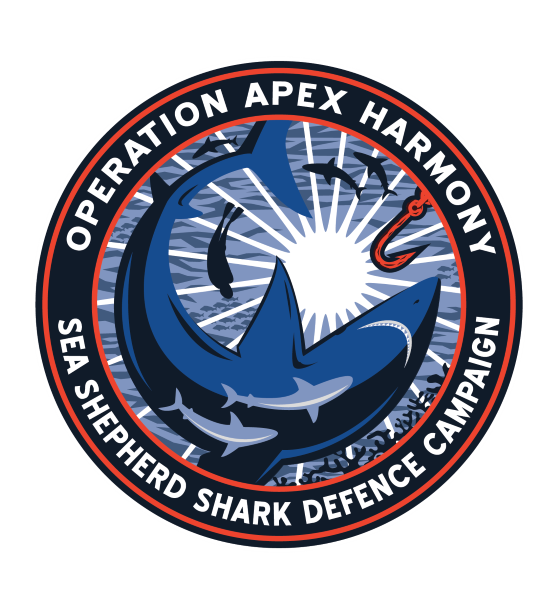 Operation Apex Harmony - Timor Leste is a campaign to help local and international authorities put an end to the illegal slaughter of sharks by industrial fishing vessels in Southeast Asian seas. It's estimated that somewhere between 100-200 million sharks are killed annually, sometimes as unintended by-catch in fishing nets or in misguided shark culls. But most of them are intentionally hunted for their meat, liver oil, cartillage, skin, or -- most of all -- their fins, which are in high demand for the shark fin soup widely consumed in Southeast Asian countries. 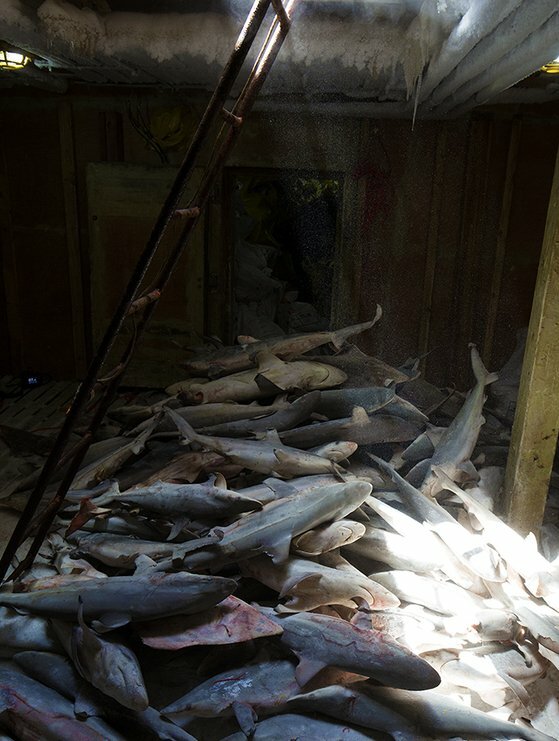 Although it's illegal to kill sharks in East Timor's waters, in February 2017 a fleet of 15 industrial fishing vessels carrying permits to fish for tuna were discovered transferring dead sharks to a refridgerated cargo "mother ship", the Fu Yuan Yu Leng 999, just off the coast of Vermasse, East Timor. The ships were inspected and released without fines or penalties, despite public outcry. In August 2017, the same Fu Yuan Yu Leng 999 made international headlines when it was detained inside the Galapagos National Park with 300 tons of sharks it had received from four longliners belonging to Hong Long Fisheries and Pingtan Marine Enterprises. The crew of the Fu Yuan Yu Leng 999 are now in an Ecuadorian jail and the ship impounded, scheduled to be sold off. 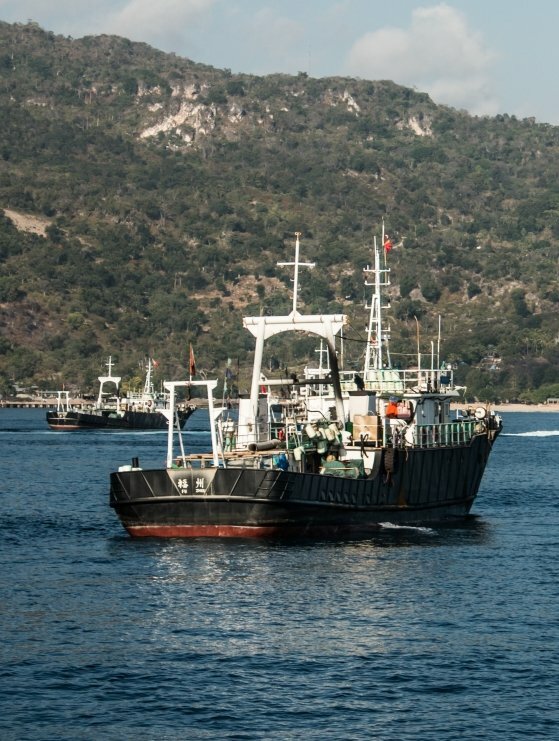 The rest of the 15-strong fleet (belonging to the Hong Long Fisheries and Pingtan Marine Enterprises, both based in China) were still free to fish, except in Indonesia where Pingtan was kicked out by Fisheries Minister Susi Prudjiastuti in 2014. 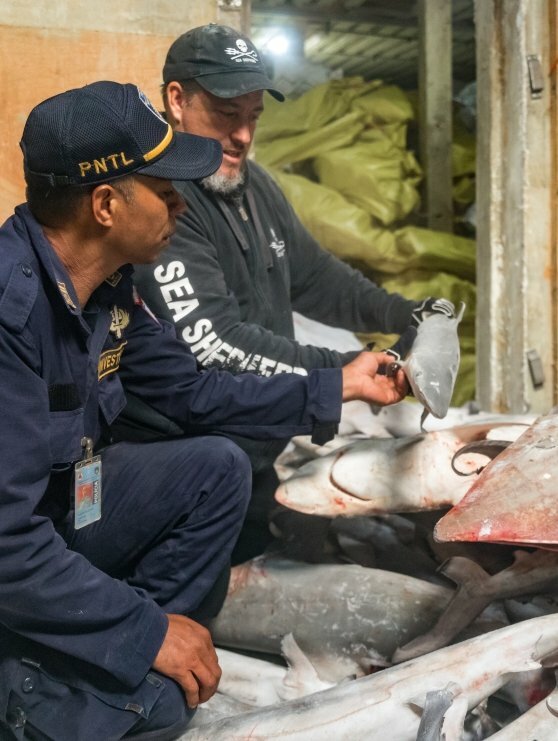 When Sea Shepherd heard the fleet was back in East Timor waters with their tuna permits, the M/V Ocean Warrior was sent to investigate and document any suspicious activity for the local authorities. The Ocean Warrior found the Hong Long Fisheries / Pingtan Marine Enterprises fleet 150km south of East Timor, fishing with anchored gill nets set to target bottom-dwelling species such as sharks. Sea Shepherd documented the vessels retrieving their nets and the catch appeared to be 95% sharks, as well as lots of broken coral from the sea bed. After presenting this evidence to the East Timor National Police (PNTL - Policia Nacionale Timor-Leste), a joint operation was conducted at dawn on September 9th using the Ocean Warrior and its small fast boat to transport the PNTL and Sea Shepherd crew to board and inspect the fleet. 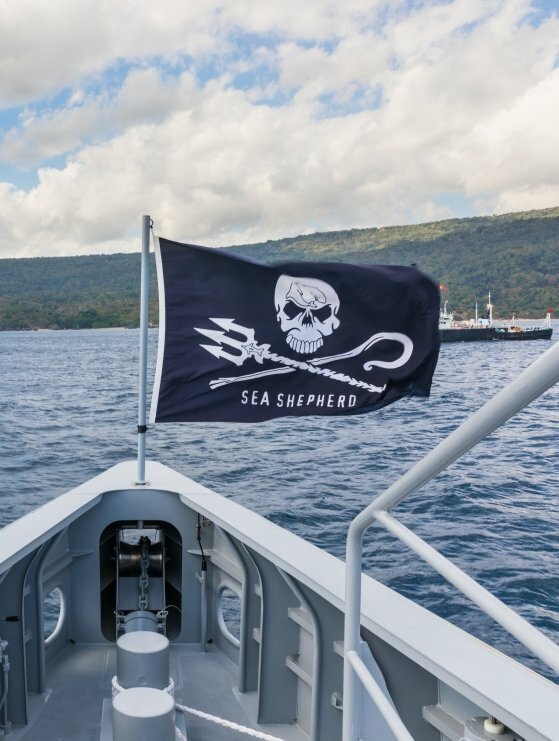 Sea Shepherd also found a second fleet of three vessels owned by Hong Dong Pelagic Fisheries fishing illegally in East Timor waters. Although they had a license to fish, they were found deploying more than 2x10km of driftnet from each vessel, blatantly violating than the 2.5km maximum allowance set by international law. Sea Shepherd will be filing a full report of its findings to the flag state of these vessels as well as Interpol, CITES, IOTC and other relevant authorities. The M/V Ocean Warrior is Sea Shepherd's newest high-speed patrol vessel, made possible through the Dream Funds Award from the Dutch Postcode Lottery in 2016. Sea Shepherd has worked with many governments around the world to protect global shark populations from further decline. Most notably, we have a long-standing project in the Galapagos in partnership with the Ecuadorian government in which we have contributed more than one million Euros towards the acquisition of a patrol boat, the installation of vessel identification systems, training, enforcement, a team of fin-sniffing patrol dogs, and legal support for prosecution. In Australia, Sea Shepherd launched Operation Apex Harmony in 2014 to help establish sustainable solutions to the shark bite incidents, opposing government programs that kill sharks and other marine life species as a method to mitigate shark interactions.